Veterans Day, which we formally mark today, is a time for reflection. It is a time for honoring the men and women who have risked their lives in far-flung corners of the world to defend our freedom. It is a time for remembering our obligations to those warriors when they come home. I’ll be thinking of the late George O’Brien Jr., an extraordinary Marine from Big Spring, who received America’s highest military award, the Medal of Honor, for his selfless heroism in Korea. I’ll also be thinking of another remarkable Marine, recently deceased Treto Garza, who served in Vietnam and devoted the rest of his life to improving veterans’ health care in the Rio Grande Valley. And I’ll definitely be thinking of San Antonio’s Todd Nelson, a retired U.S. Army master sergeant who endured more than 40 reconstructive and lifesaving surgeries after his convoy was attacked by a suicide bomber in Afghanistan, and who now recruits wounded veterans to work at USAA. I was proud to call Garza a friend, and I was lucky enough to meet Nelson earlier this year. As for O’Brien, I was privileged to attend the January 2012 ceremony at which the Big Spring Veterans Affairs Medical Center was officially renamed in his honor. Each understood that courageous veterans often return from war carrying physical, psychological and emotional injuries. That’s what inspired O’Brien, Garza and Nelson to spend so much time helping our wounded warriors. Unfortunately, the massive backlog of VA disability claims reminds us that far too many veterans are being underserved. This is a national disgrace, and I have expressed my outrage to VA Secretary Eric Shinseki and called on him to resolve the crisis. Veterans with pending claims deserve more than just rhetoric from VA headquarters in Washington. They deserve swift action. Our veterans fulfilled their solemn duties. It’s about time the VA did the same. The disability-claims backlog in Texas is particularly immense because we’re home to more veterans than any state except California. As of Oct. 22, there were more than 49,000 claims pending at the Waco VA Regional Office, the highest total nationwide. The vast majority had been pending for more than 125 days. Meanwhile, there were nearly 38,000 disability claims pending at the Houston VA Regional Office, the fourth-highest total nationwide. Once again, most had been pending for more than 125 days. Consider the story of Brownsville resident Jorge Vallejo, a former Marine who suffers from spinal nerve compression. Despite the severity of his condition, which makes it very difficult for him to work, Vallejo was only receiving 30 percent disability from the VA. In hopes of providing for his wife and children, he tried repeatedly to secure his rightful compensation. When these efforts failed, he turned to my office for help. After much wrangling with the VA, we were able to get Vallejo his full benefits. Sadly, his ordeal is not an anomaly: Thousands of Texas veterans have experienced similar frustrations. I look forward to working with Texas and VA officials to make sure this initiative is successful. Our veterans have shown tremendous devotion to America. They deserve the same from their government and should receive their legitimate benefits and medical care in a timely fashion. As a military retiree I appreciate your comments about veteran benefits and hope you stay true to honoring those who have served by standing up for us as our Texas senator in Congress by fighting to see that we are not just honored with words but with actions. I remember those I served with and those still serving every day. The erosion of medical benefits is the most significant thing that affects veterans, retired or otherwise. This year retirees were notified that the cost of Tricare Prime insurance would increase. I took that in stride as doing my part of ensuring that medical benefits stay in place even though the increased cost exceeds the small COLA received. I just found out though that the government is going to take away my Tricare Prime insurance eligibility because I live more than 40 miles from a military treatment facility. The announcement article said this applies to only 171,000 retired veterans and in the big picture of government that may seem like a small thing but to those of us in that number and what it means to us cost wise it is a very big thing. As a vet I don't ask for free medical care but I do ask that my government appreciate the service of men and women to our country by insuring it is at the lowest cost to each and every one of us possible. Taking away the Tricare Prime insurance eligibility from those of us who live with and near our families which may not be close to a military hospital is taking away our freedom to live where we choose and is just plain wrong. 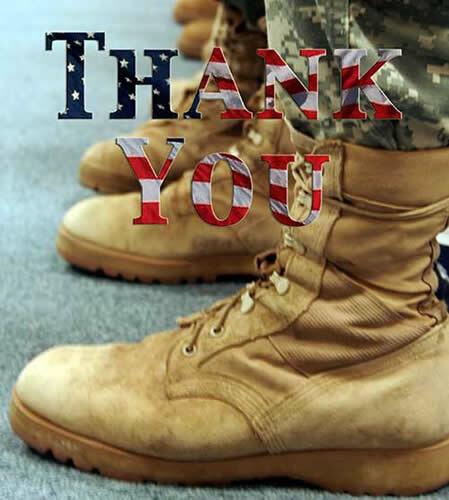 To quote the end of your blog, "Our veterans have shown tremendous devotion to America. They deserve the same from their government and should receive their legitimate benefits and medical care in a timely fashion. Anything less is unacceptable." As my senator in Congress, I and all other retired veterans in Texas ask that you fight to stop this benefit loss and any other erosion of our service benefits.